On the evidence of Yo La Tengo's most recent release, Popular Songs, these perennial indie darlings are in danger of slipping into meandering meaninglessness. It isn't so much a bad album as it is a disappointing one. It's the kind of record that has you reaching for their older releases to see if they are as good as you remembered (they are), or wondering if the band recently "did an REM" and signed some creativity-killing megadeal with a major (they haven't). 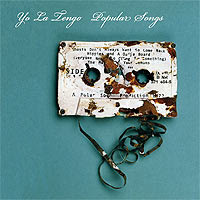 You could almost be forgiven for thinking it was a collection of B-sides, if only Yo La Tengo hadn't already released at least two collections of far more interesting offcuts.